Let’s try to unite the world with some Amiga talk with a person from a country that most of us have only seen horrible things from, Syria. With this article, I want to put aside all the differences between us politically for once and look at what Commodore managed to achieve in Syria, which is a country filled with events that shouldn’t have happened at all. We are all humans and in Syria, this is a case where its time to unite people instead. Amitopia had a nice interview with Gilbert Tan, which is an Amiga user on the Philippines that many liked to read. So, we did digging into finding other Amiga people that are living in countries that most of Amiga and other computer users wouldn’t think of knowing anything about Commodore and Amiga. But I was so wrong! 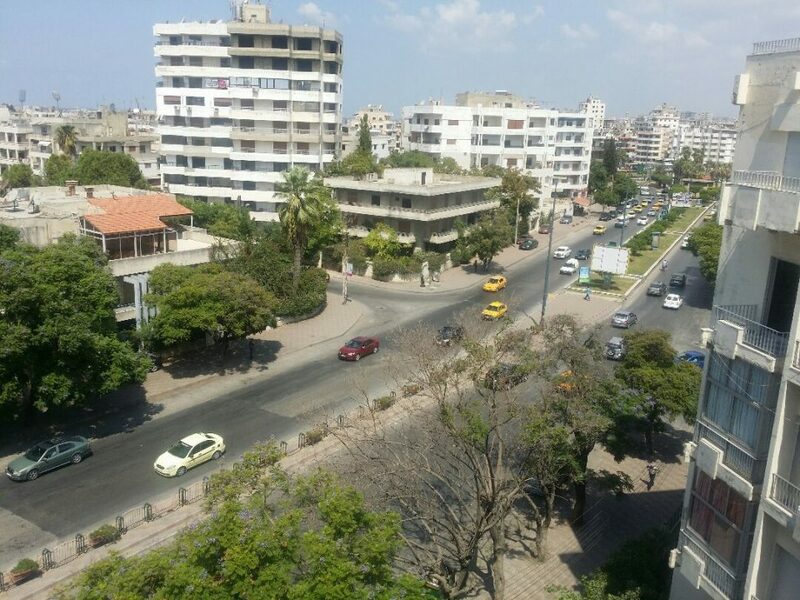 Zaher Sai from Latakia in Syria was so kind as to add me on social media and I accepted him with a warm heart. I already knew an Amiga person from Iraq, so to see an Amiga person from Syria made me very interested in who this person is and how he got in connection with the Amiga in a country that most of the people only know from News channels on TV. I also spoke with David John Pleasance about Commodore and their strategy for Syria and Asia. Read on our exotic Amiga interview, with Zaher Sai from Syria. 1. Tell us a bit about yourself? 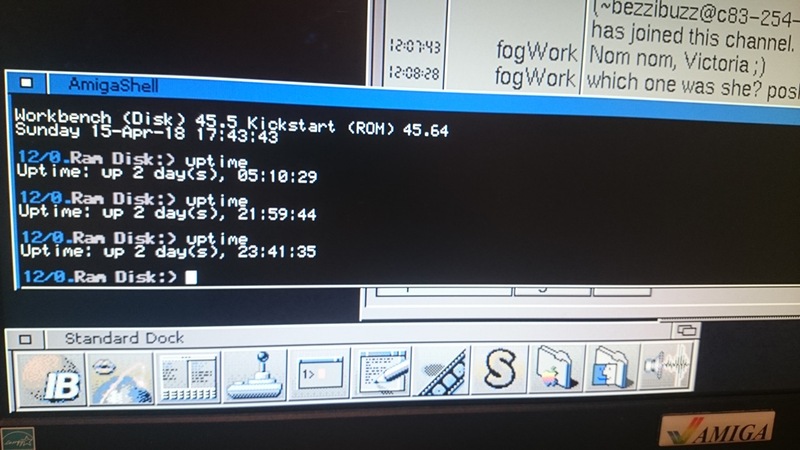 What do you do and how did you get to know the Amiga? My name is Zaher Sai, and I’m a 3D modeler by profession, I live in Latakia, Syria. 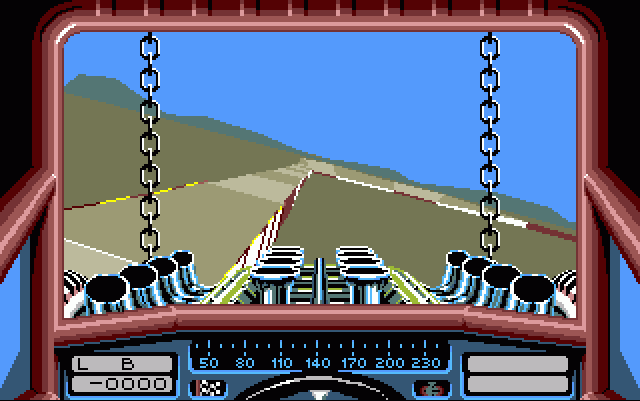 My first experience with Amiga was in 1990 or so when I saw it at a well known Sakhr computer dealer (an Arabic MSX computer), he showed me some demos and games and I was blown away by the sound and graphics of the machine, then one of my friends bought an Amiga 500, and I told my dad about it and he bought an A500 for me and my brother. 2. How did Commodore products come to Syria? What did you do on your Amiga 500? Back in the eighties, there was an official Commodore dealer in Damascus his name was Suleiman Al-khouri as far as I can remember. In Latakia, MSX was dying in the early nineties so the MSX dealer became an Amiga dealer. I have very little experience with C64, originally my first computer was ZX Spectrum which my father bought on his trip to London in 1983 or early 1984, it was selling like hotcakes back then. My second computer was C64, but I use it for less than a year because my father sells it and bought a Sakhr MSX which was manufactured by Yamaha. I used my Amiga for gaming mostly and watching some demos, I also had some experience with DPaint and AMOS. 3. Did you get more Amigas after you got your Amiga 500? Have you made some of your AMOS creations online? I used AMOS as a hobbyist, I was not a professional coder, all I did was very simple games and animations, nothing serious. 4. That’s great. How did the Commodore bankruptcy affect Amiga usage in Syria? It certainly did but I won’t say that it was a major shock for gamers. Gamers started using another system for gaming in 1994 or so (mainly the Neo Geo and PSX), although A1200 was an improved machine it wasn’t as revolutionary for gamers as A500 was. However, video editing was heavily affected back then. In the early 90s, Amiga was the best choice for video editing and wedding titling. It was used heavily in the official Syrian TV and in most of the TV commercials back then. Aside from video editing, Amiga was never used as a business machine or in DTP. One of Commodore mistakes was that they never added support for Arabic or Japanese, which was and still have a large market for computers especially GCC countries with their oil wealth. 5. How was it with Amiga media in Syria? 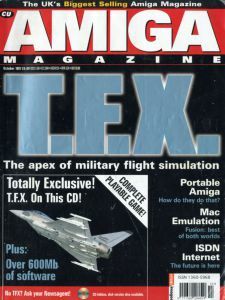 Did you have your own Amiga magazine in Arabic that gave people news about Amiga news etc? Is there any Arabic solutions at all or did you have to rely on English in AmigaOS? Although the Arabic Al-Computer magazine was PC and Mac-focused (with some C64, MSX, and 8 bit computing articles), there was many times that Amiga was mentioned and reviewed. My father was a subscriber of this magazine, and I remember I saw a 1986 issue were they covered Hannover 86 show and they reviewed the Amiga 1000 in details. They also reviewed the Atari ST and A500 but to a lesser degree. There was some non official program to write Arabic but I can’t remember it’s name. It must be used in TV commercials and wedding titling in the Arab world back then. I think Commodore at Tramiel era did some attempt to support Arabic, when my father bought the C64 back then he bought it with a special cartridge that made C64 print Arabic it was called Zanin, I’m not sure if it was Arabic company or iranian as Farsi language use arabic characters also. I’ve searched for Zanin rom online but I wasn’t lucky to find one. 6. This is very interesting information that you give. Interesting to know about the UK Amiga magazine usage. How did phase5 and the other Amiga 3rd party companies do? Was the Amiga era over by the time PowerPC cards came out? Did some of the stores sell them in Syria or did you have to buy it from outside of the country? 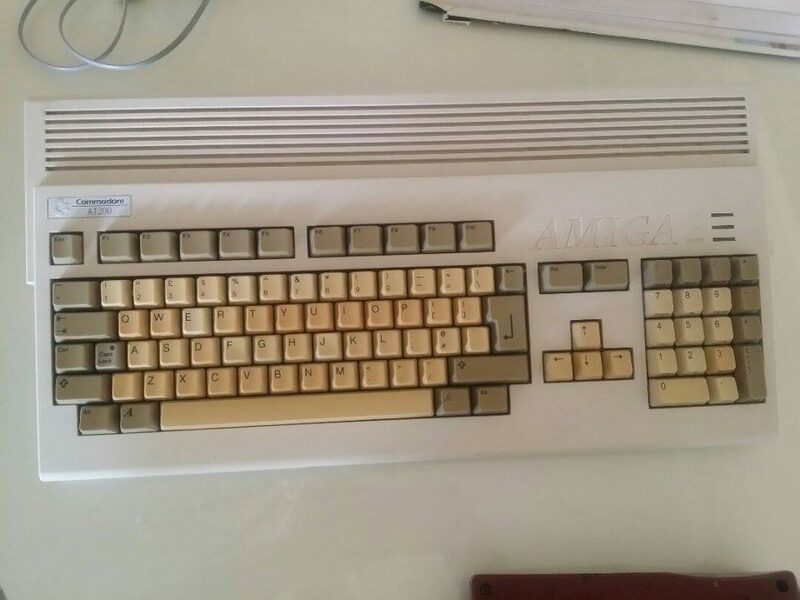 To my knowledge, there is no PPC Amiga user in Syria, right after Commodore bankruptcy the Amiga hardware accessories died, even before Commodore went bankrupt the Amiga hardware expansion market was weak. Most people bought hardware for gaming, it was either an external floppy drive or extra memory. People even faced a hard time for finding an internal Hard Disk Drive for A600 and A1200 after Commodore bankruptcy. Maybe the situation was better in the capital as I saw some big box Amiga owners (mostly A2000 and A4000), in my city I never met a big box Amiga owner. 7. Was there or is there any Amiga User Groups in Syria? There was many Amiga users back then in Syria (possibly in thousands), but as I said they use it for gaming mostly and when better gaming systems appeared they jump off the ship immediately. 8. Was there any Amiga Demoscene groups in the area? Did the demoscene have any affect on you etc? Did you arrange some Amiga parties or gatherings? I don’t know any demoscene in Syria that is worth to mention, back then I had some Amiga friends who coded in Assembly or AMOS and did some demos, but the demos were not as good as European and Scandinavian ones. Back then almost all games and software was pirated (and it still till now even in the Windows and Android dominated the world). I remember the Fairlight piracy group mentioning they have major members in UAE in their cracking intros of some games. 9. So what do you think of Amiga future? Do you like the AEON and the Vampire upgrades for the classic Amiga? Amiga future is my favorite topic, it is one of the reasons I’m a die hard Amigan. IMO A-EON Technology did a great job for AmigaOS 4 users and NG Amiga. I’m a big fan of Trevor Dickinson and AmigaKit. 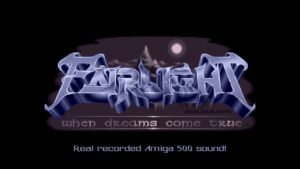 Vampire team also gives a fresh breath of air to classic Amiga owners. I also really admire what the Frieden brothers did to AmigaOS and the Exec kernel, but I think they must think of a new radical solution to keep Amiga updated with the cutting edge technology. I’m not a coder, but as I understand it AmigaOS (and most operating systems), has six major components: the Exec kernel, device drivers, GUI (intuition), a file manager (Workbench), A File System, And DOS (Shell). Amiga companies have limited resources and a very small number of users. So we must depend on open source software to update those components. The most two components that could depend on open source code without losing “The Amiga Identity” is the kernel with the hardware drivers. A-EON and Hyperion can’t update AmigaOS alone forever. Even AMD RadeonHD 3D Graphics drivers consumes a lot of money, time and effort from A-EON. So we must find a new kernel that consume less resources for making device drivers. The new kernel must be an open source real time micro kernel that support the latest IoT technology (Internet of things), it must be supported also by major hardware manufacturers to some degree in x86 and ARM dominated CPU world. There are many micro kernels that support IoT including RIOT and TinyOS and others. The most candidate for this job IMHO is seL4 which is the fastest microkernel on earth. It has support for X86 and ARM motherboards and it even has 64 bit architecture basis and plan to support x64 cpu architecture. By choosing a new microkernel we could cut a lot of expenses for hardware drivers or even building expensive PowerPC AmigaOne machines. with the extra resources, we can make a better programs and port state of the art unix-like software like Sirius speach synthesizer, and improve AmigaOS to be more competitive with mainstream platforms. And sorry for the long answer, as I said Amiga future is my favorite topic. 10. Amigans loves long answers! Lets move on to the alternatives that also play a big role in the Amiga future. What do you think of MorphOS? Have anyone heard about it in Syria? Have you tested it on a PowerPC Mac? I’ve never try it and I don’t know if anyone try it in Syria or even if anyone in Syria is aware of it’s existence, but I think that MorphOS is an interesting alternative to the official AmigaOS. In my city Macs are quite rare, I find once a PPC Mac for sale and thought of buying it to try MorphOS. Unfortunately, his owner ask for a lot of money for it, I can’t remember the price he asked now but I remember that you can buy a new x86 with the price he asked. One thing I would like to add to the earlier question about A-EON and it’s next generation Amiga projects, as I said they did a great job especially with Amiga Enhancer Package and latest X5000 and A1222 hardware with it’s the low price point. However, although it is quite unique addon, I think that A-EON must drop Xena and the XCore chip from next project (X6000? ), as it was never been took advantage of it due to a lack of expertise and interested coders. 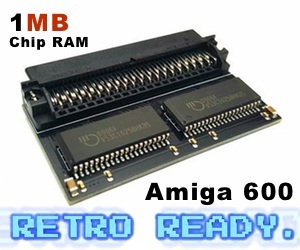 I think this was fully expected as Amiga was never about industrial applications or business, Amiga was all about graphics, Multimedia and gaming since it’s inception so I don’t think that Xena chip could fit in the Amiga world, regardless of it’s power possibilities. IMHO, I think a Real time 3D ray tracing FPGA could be more useful in the next projects than Xena for the Amiga community. 11. In the end, we want to ask you about who inspired you the most to keep on with the Amiga interest in Syria? That’s really a difficult question to answer. I owned many computers and consoles but the most favorite one is Amiga (and it will always be my first and last love). I don’t why I fell in love with Amiga specifically, maybe because it was a great machine but never got it chance..it’s like having a very beautiful dream interrupted in the middle and you always love to sleep to back to this dream, my wonderful dream that I would always love to continue was the Amiga. When I used MSX, MSX2, C64, C128 (for less than a month), Atari 2600, Atari 5200, ColecoVision, Nintendo Famicom and even Sega Mega Drive. I always felt there is something missing in graphics and music. Amiga was the first true multimedia machine that I’ve beeen dreaming for all this years. I love both European and Japanese culture and arts, I think Neo Geo is the best platform to represent Japanese arts in computer games, on the other side when I think about European arts in computer games I can’t think of a better platform than Amiga, indeed Amiga was the golden age for multimedia and European gaming. I’ve never used my A1200 lately, and I don’t know if it is working or not, but I’ll try to capture some photos of it. 12. That’s a pretty good answer! You did well there. In the end,… what do you want us to bring out to our readers? Do you have a blog or something that you want us to share? Thanks, and thank you for giving me this opportunity in this excellent Amiga website. 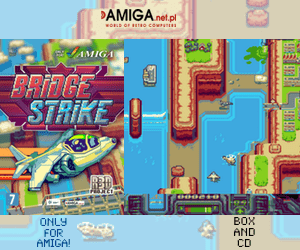 I think this website cover a good share of Amiga activities and has many good articles on it, but I think serious Amiga users (especially NG) need more tutorials for serious applications, we need more YouTube channels and Facebook pages with video tutorials for AmigaOS newcomers and serious programs. Unfortunately, I don’t have a blog but I have a Facebook page. So, with the interview finished. I had to ask David John Pleasance that was the CEO of Commodore UK about Syria and Asia involvement. He didn’t reveal that much, but said this to my questions regarding Syria and Asia. photosource: Distrita – David John Pleasance, the former CEO of Commodore UK that nearly got the rights of Amiga. His new book about Commodore will reveal a lot. Soon to be out for everyone to read. Interesting times ahead! Do you have any information regarding Commodore and Asia or Syria? Do you have some knowledge about plans there? Something I can add to the article? 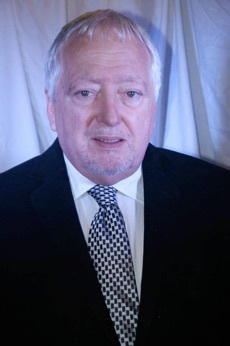 Sorry Michal Syria was one of the countries I was responsible for whilst I was General Manager at CEL – however because of the unstable nature of the political scene and the threat of economic sanctions, I hardly did any business there. Only on a cash up front basis. Was there any plans to introduce Arabic or Japanese language support into AmigaOS or atleast Amiga CD32 console etc? If Colin and I had won the auction we would have concentrated on our existing market first. With so much new knowledge about Syria, Commodore and the Amiga situation there. Amitopia hopes that you enjoy such long articles. Do comment on our Facebook page and if you do like this kind of articles then please like and share it. I really want to give all of our readers longer articles regarding the Amiga and its users worldwide. We must thank Zaher Sai and David John Pleasance for answering our questions. I will try to investigate further into Commodore and Asia involvement later. Thanks for reading and have an awesome day wherever you are on the globe.